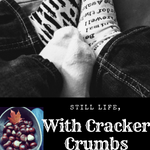 Book Review: Snowlicious | Still Life, With Cracker Crumbs.. I received a free review copy from NetGalley in exchange for an honest review. At least that’s what Mike is hoping. But his best friend, Thea, is seriously lacking in holiday spirit. In fact, she’s hot-and-bothered in the wrong way when her ex steals her entry in the Festival of Trees competition. Now, she needs to find the Best Tree Ever so she can win the competition before her florist shop loses business. The catch? Thea’s using this opportunity to exert her independence and stand up for herself, but Mike can’t pass up the chance to play Secret Santa and lend her a helping hand. Such an expression of holiday giving couldn’t possibly backfire, right? This short and sweet little book was a great holiday read. Fast and fun, an easy way to slide into your holiday reading slowly. Mike and Thea have been friends since childhood – yet they have begun wanting more than just friendship from each other, and while Mike is ready to cross that line of friendship into something more, he is not sure that Thea is. But the magic of Christmas time makes everyone hopeful and brave with the promise of the season, and Mike is willing to go the extra mile to show Thea that will do anything for her. Including giving her the opportunity to decorate his firm’s Christmas tree in the annual competition, after her own tree is snatched away from her by her ex. I really loved these two characters, and they had some serious chemistry. I enjoyed how fun loving and realistic these two felt – sometimes you read characters that seem like people you could bump into on the street, and Thea and Mike felt that way to me. This book was a great escapism and the snowy imagery was perfect. All in all, a fun little read! I want to find the other books in this series now! ← Perfect Pairings – A Book and Toy Holiday Gift Guide! Pingback: My Sunday-Monday Post | Still Life, With Cracker Crumbs..